The Chinese zodiac signs are based on the Chinese New Year calculated using the lunar calendar. Chinese New Year charts reveal more than the astrological animal zodiac signs. 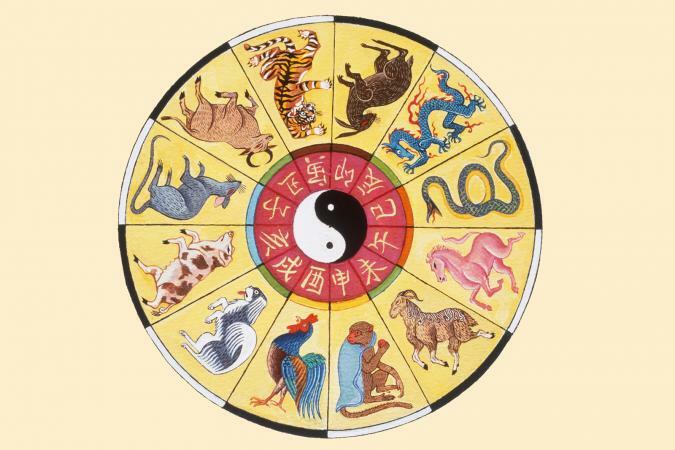 The Chinese zodiac chart features the yin yang of each animal and its element. The charts explain how each of these components affect and influence your life. Some people know their Chinese astrological sign, but when studied closer, the Chinese New Year zodiac chart reveals the very essence of a person's natural characteristics. The chart is circular and divided into three main parts, elements, zodiac animals and the yin yang chi energy. The inner ring contains the five elements. Each of the 12 zodiac animal signs has a fixed element as well as one of each five elements based on the birth year. In addition to the fixed element, each sign is also assigned an element based on the year of birth. The five elements are assigned one element per one year to each sign. The first zodiac animal is the rat. With five elements divided among this zodiac sign (one per year), there will be a water rat, wood rat, fire rat, earth rat, and metal rat. The other zodiac signs also have five elements assigned to them dictated by the birth year. This creates a 60-year cycle for a complete rotation of the zodiac since 12 zodiac signs x 5 elements=60 years to complete the cycle. This ring contains the twelve Chinese astrological signs. The zodiac animal signs are based on the Chinese New Year calendar that uses the Lunar Calendar to calculate the birthdates and animals assigned to each in the following order. The Chinese New Year uses the Lunar Calendar, not the Gregorian Calendar. The Chinese New Year begins the second new moon that occurs after the Chinese winter solstice (on or around December 22). This means the New Year could start sometimes toward the end of January or the first couple of weeks in February. Since the New Year span often includes January birthdates for the following Gregorian Calendar year, a listing needs to provide a range of dates from the beginning of the Chinese New Year to the end of the Chinese New Year. You can find your zodiac animal sign and ruling element by searching the tables below. Find the year range where your birthday falls. This is your zodiac sign and the element that rules your sign. For ease of reading, the following charts are divided into 10-year segments. The outer circle of a Chinese New Year zodiac chart features a white and black rim. Each sign will have either a black (yin) or white (yang) band to indicate the animal's chi energy. 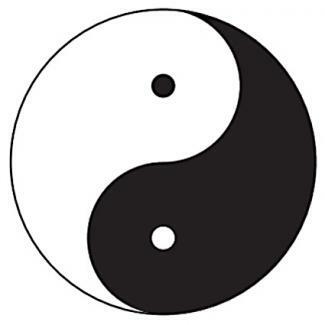 White represents sunlight and masculine yang energy while the black represents moonlight and feminine yin energy. Years that end in an odd number are "Yin"
Years ending in even numbers are "Yang" ruled. The yin energy of an element portrays personality characteristics that are subtle and subdued. The yang energy of an element portrays characteristics that are more pronounced and at times considered aggressive. Each year has either yin or yang energy as well as an element. You can easily determine these when you follow the chart below. The five elements in the Chinese zodiac chart are interrelated and can be either productive, often referred to as an affinity relationship, or destructive, often referred to as an enmity relationship. A compatible relationship (productive) is positive for both people and produces all the good things you expect from a solid and whole yin yang relationship. Water and wood: Water nourishes wood and helps it to grow. Wood and fire: Wood fuels fire to burn and provide heat. Fire and Earth: Fire produces ash and dust, which are considered Earth elements. 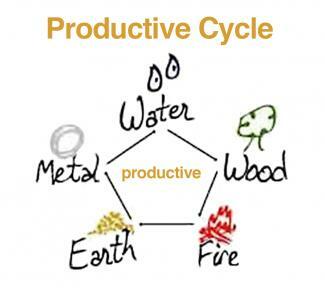 Earth and metal: Earth creates metal. Metal and water: Metal attracts water. 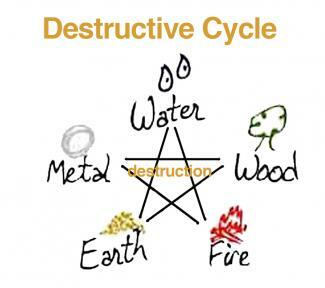 When the elements clash in ways that destroy each other from opposite directions, such as north (water) and south (fire) this is called the destructive cycle. In a human relationship, this threat of element clashing is referred to as an enmity relationship. This type of relationship will basically self-destruct. 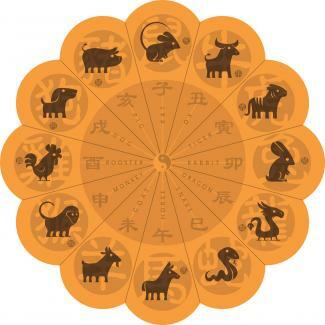 The Chinese New Year zodiac charts are easy to use. The different aspects of your Chinese astrology chart come together to form a complete picture of the cosmic influences in your life, including your best and worst relationships for a life partner/marriage, friends, family, and work relationships.